Many of us believe that flu prevention consists of receiving our annual influenza vaccine. While this is the best way to prevent the flu, for our senior loved ones it’s good to know there are other precautions you can also take to protect them from the illness that affect us most this time of year, that often coincides with an increase in flu activity. Now that we are at the peak of winter, we need to be extra diligent in how we can find ways to avoid spreading – or catching – the flu virus. 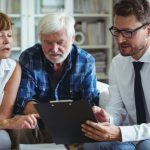 For our seniors, where the flu can be much more severe and cause multiple complications, the importance of educating about the flu and prevention is vital. 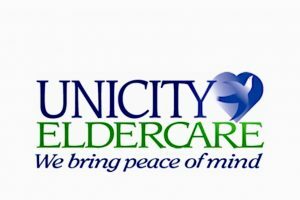 In our blog, Unicity Eldercare discusses our tips on flu prevention; and how to ensure you take the necessary measures to keep you and your loved ones safe. We know there are many misunderstandings that can keep older adults from getting their flu shot. If you, or an older adult in your life is resisting the flu vaccination, there are ways to help separate fact from fiction and educate yourself to make the best decision for yourself and those you love. For many seniors, the myths about flu shots keep them from being vaccinated, but avoiding the flu shot can be dangerous. 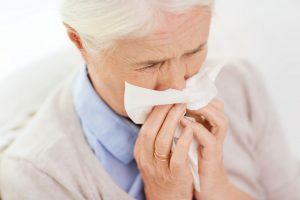 It is estimated that 75 percent of flu-related deaths and well over half of all seasonal flu-related hospitalizations are people 65 years and older. 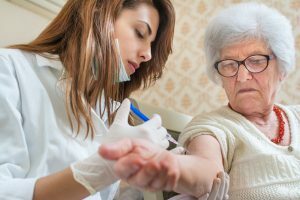 Keeping those statistics in mind, here are some of the ways to determine if the flu vaccination is right for you and your elderly loved ones. Does the flu shot gives you a small dose of the virus to help you build up your immunity to it? NO. In fact, this is one of the single most deadly myths about the flu shot. Many seniors believe that if they get the vaccine, they will develop the flu. But the experts at the Centers for Disease Control and Prevention (CDC) say that the virus in the flu shot is inactivated. A person who receives a flu shot will not get sick from an inactive virus. Does the flu vaccine stay the same from year to year, so you don’t really need to get one each fall? NO. Many people believe this myth, but the truth is that the formula does change every year. It is re-formulated to target strains of the flu experts believe will be a problem each season. Is getting the flu shot in October is too early, and is it better to wait until December or January so you’ll be protected the whole flu season? NO. 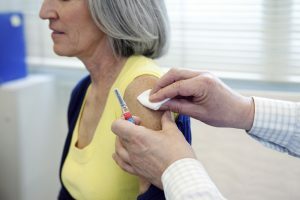 Flu shots are effective in helping to prevent the virus for a whole year, and since flu season sometimes begins as early as October or November, experts advise getting the vaccine as early as possible, as it gives the vaccine time to work before the worst of flu season begins. However it is also never too late to get the flu vaccination. If you or your loved one hasn’t received the flu shot by January or February, it is urged that you can still do so! Do medicare recipients have to receive the flu shot at a physician’s office or it won’t be covered? NO. Healthcare providers who accept Medicare can usually provide the vaccine to you at no cost. For many Medicare recipients, getting the vaccine at the flu shot clinic at a local senior center or at their pharmacy may be quicker and more convenient. Check with the provider to make sure they accept Medicare first. If you don’t feel sick or if you aren’t exhibiting flu-like symptoms, you can’t spread the virus? NO. This myth can be dangerous for older adults. especially if family and caregivers did not recieve their flu shot. 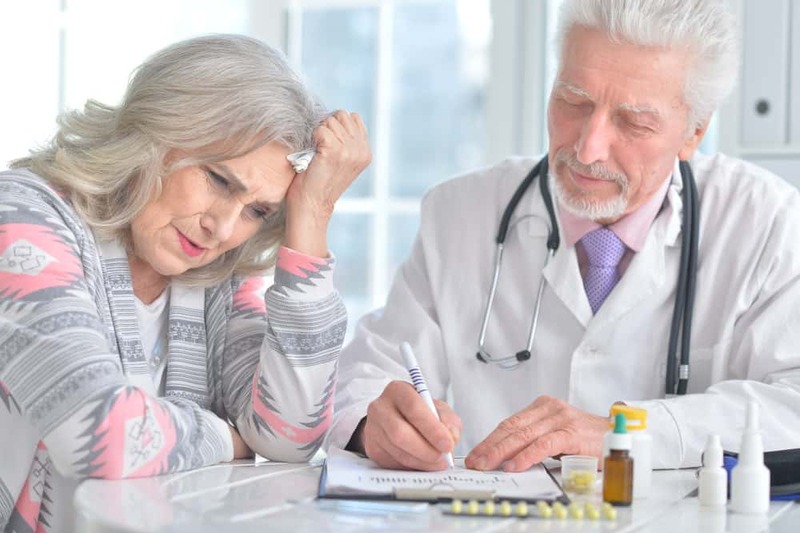 That can lead them to unintentionally passing the virus on to a senior loved one whose immune system may be compromised. A lack of symptoms doesn’t mean the virus isn’t present. In fact, researchers say 20 to 30 percent of people who have the influenza virus don’t exhibit any outward signs of it. If you have more questions about the flu shot, the Seasonal Influenza Center at the Centers for Disease Control and Prevention has much more detailed information for you and your family. Get The Flu Vaccine: While the best time to have a flu shot is in October or early November, there’s still time to be vaccinated. If you haven’t had a flu shot, call your doctor’s office today. It generally takes about two weeks for antibodies to build up in the body and offer protection. Maintain Good Hygiene: Wash your hands often in hot, soapy water several times throughout the day. This is especially important if you are exposed to large crowds of people, as you have a higher risk of being exposed to the virus. The Centers for Disease Control (CDC) suggests keeping an alcohol-based hand sanitizer with you for those times you won’t have access to soap and hot water. Avoid Personal Contact: Limiting the number of handshakes, hugs, or kisses you give and receive from friends and family can, in fact, lower your risk for catching the flu virus. The flu is highly contagious, and it is easily transferred from one person to another. Shaking hands is often seen as a common courtesy, but it also increases the odds the flu will be passed to you. Because flu symptoms aren’t always obvious, a person might not even realize they have it. A quick wave or smile will be enough of a greeting during peak flu season. Refrain From Touch Your Face: If you’ve been exposed to the flu, you can quickly transfer the virus from your hands to your nose or mouth. As such, it is a good reminder throughout flu season not to touch your face. Most of us don’t realize how often we touch our face throughout the day, so try to be more self-aware. Stay Active: People with a strong immune system are better able to fight off the flu bug even if they are exposed. Keep your immune system strong by making time for exercise, even moderate movement, at least five days a week. There are other steps seniors and caregivers can take that will further protect them from the influenza virus. Here are a few of the ones considered to be most effective. The Importance Of Handwashing: Good hygiene habits will help protect you from the influenza virus. Handwashing is one of the most important habits to practice. Maintain A Healthy Diet: Nutrition plays a key role in boosting the immune system. Make sure you eat a well-balanced diet during flu season. Vitamin C-rich fruits, leafy green vegetables, and lean protein should be parts of your daily menu. Sleep Well: It isn’t uncommon for caregivers to suffer from sleep deprivation, which can weaken the immune system. During flu season, it can raise your risk for catching the virus. To fight the flu, you need sleep. Most physicians say seven to nine hours each night is best. Call Your Doctor If You Are Symptomatic: If you find yourself experiencing a few of the most common flu symptoms, such as a stuffy nose, sore throat, or fever, call the doctor right away. There are flu medications that can be prescribed when the first signs of the virus appear. They can lessen the severity of the symptoms and possibly even shorten the number of days you are sick. If, despite your best efforts, you think you or your loved one has been affected by the flu virus, it is imperative that you call your doctor right away. There are prescription antiviral medications that can help if prescribed in time. 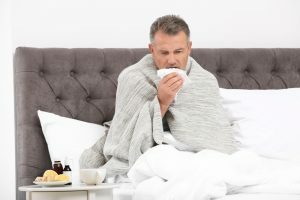 While they might not be able to keep you from developing a case of influenza, they can help shorten the amount of time you are sick or lessen the severity of flu symptoms. 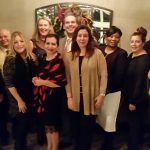 Flu safety is just one of the many health and wellness topics we share information about at Unicity Eldercare. 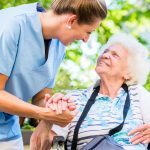 Please feel free to explore the blog section of our website for a variety of articles regarding senior health, caregiving, Alzheimer’s and dementia related issues, and many other topics regarding eldercare — as well as how we can help you with your home care needs.